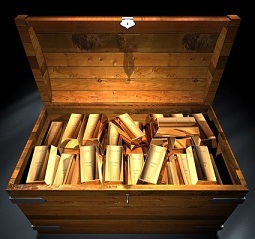 While the price of gold is influenced by the demand and supply, there are uniquely chief factors that help determine the price of a gold bar: Weight and purity. The size of the bars made from gold ranges from about 1 gram to 440 grams. As suggested by the experts, one should buy the largest bar affordable keeping in mind the resources, as the larger ones have fairly less margin than the smaller ones and that you come very nearer to the gold’s actual value. Next, the purity of gold also affects the worth greatly. Most of the bars are engraved with the purity value that tends to differ as per the mint. Although the average purity value is 99.98%, you can expect 99.99% purity in case of government-backed bars. There are some standard marks that must appear on valuable or genuine gold bars for unique identification. These marks are refiner’s mark or brand name, purity percentage, gross weight typically in Troy ounces, and serial number. So, the time of buying, ensure that you identify these marks on the bars before you go ahead and actually purchase them. These marks will ensure you the desired protection layer! If trading online where it is a bit difficult to check these markings out, it becomes mandatory to deal with an honest company that you can find out through customer reviews and testimonies. If you have thought of purchasing gold bars, it is necessary to understand the volatility in prices taking place since some years. It is know that the price of gold is on rise since some years. For example, the gold price at the end of 2003 was $414.80 per troy ounce (1.1 ounce approximately), while the end of 2008’s first quarter witnessed a price of $930 per Troy ounce. At the current price, it costs about $30,000 to buy 1-kg bar (2.2 lbs approximately). This will give you an idea of how the prices have shown their trend in the current market. Another factor to consider is from whom and where you can purchase your gold bar. It is recommended buying the bar from a reliable dealer because the value tends to vary from one bar to another. Such a dealer must be able to verify that the bar has been examined and tested as well as certify that it is genuine and solid. So, in order to prevent any kind of fraud, it is better to do your research work well in advance. For a dealer to be reputable, longevity is one factor based on which you can judge the genuineness. Then, customer testimonies and critics’ comments can add to it. In case you are considering an online dealer, ensure that he should send the bars through a registered insured mail or y any other but insured delivery process.